Many of us hoped that on February 2 the weather-predicting groundhog wouldn’t see its shadow – a purported omen that spring is six weeks away. I, too, hoped for a speedy change of season. During a recent day trip to Milwaukee, I would’ve loved to pack along a portable Woodson Art Museum visit. Instead, I pulled a cell phone from my pocket and searched TripAdvisor for things to do. 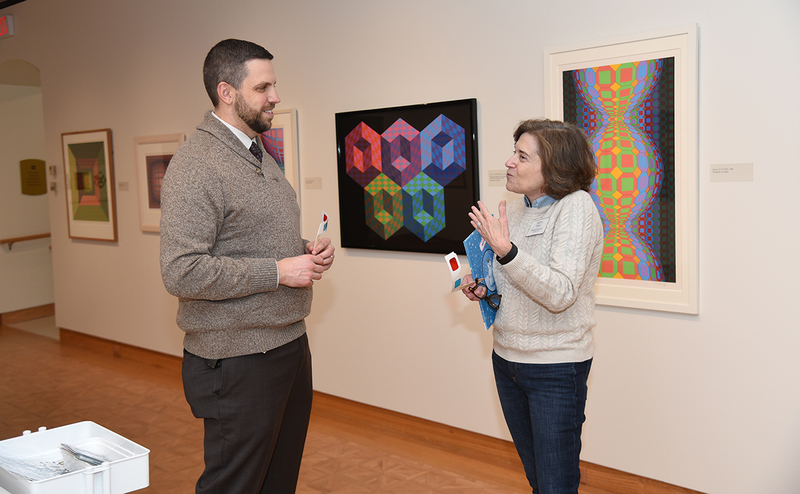 Here are highlights from recent Woodson Art Museum visitors’ comments, including what they’re saying about Victor Vasarely: Op Art Master, on view through February 24. 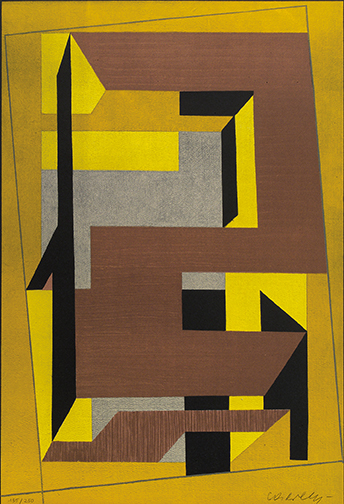 Capable as we are, the Woodson Art Museum staff does have some limitations. While all are talented in different ways, only a few of us typically get our hands dirty or can lift something with significant weight. Sometimes, to bring exhibitions and programs to life, it takes just that. That’s when the Museum’s design / build partner, The Samuels Group, comes to the rescue. 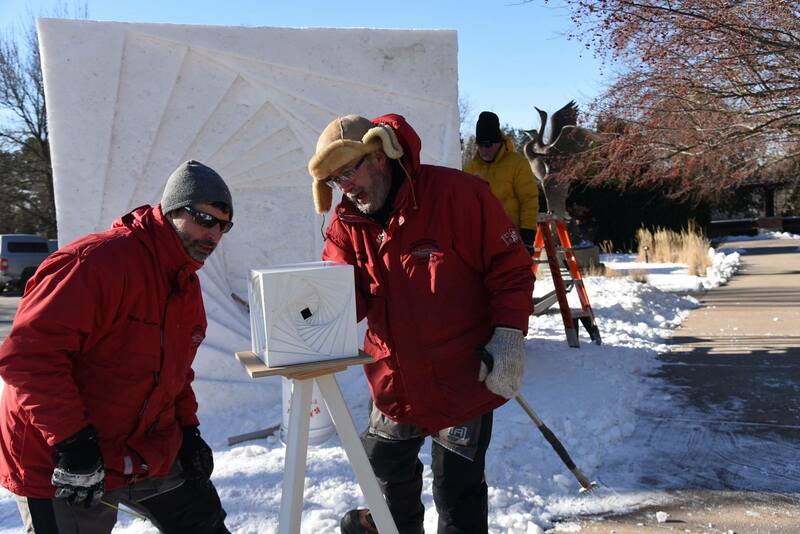 Recently, they were at it again, installing snow forms for the Museum’s annual snow sculpture that was carved by Team USA Snow Sculptors. Although coworkers and friends have described me as “lanky,” “gangly,” and a “human coatrack,” I love all types of high calorie, extra gluten, extra cheesy, extra crispy, deep fried marvels. 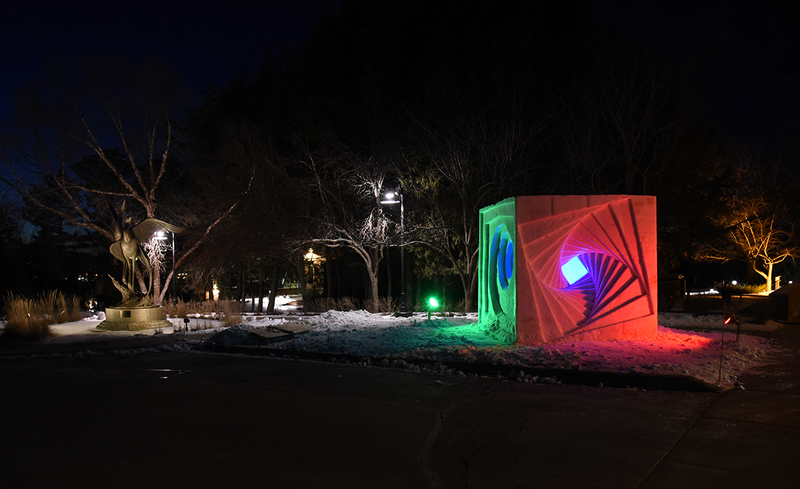 When asked what the snow sculptors wanted for lunch, their only answer was “calories.” If you’d like to burn off some calories, too, check out the 2019 snow sculpture and Victor Vasarely: Op Art Master, which remains on view at the Woodson through Sunday, February 24. It’s the perfect place to stop after lunch. I’ve said many times that I love all my children, co-workers, and visitors equally. While true, I have a soft spot for first-time visitors. Little did I know when Wausau Police Department Chief Ben Bliven contacted me prior to the holidays about his plans for community volunteering – #seasonofgiving – and his interest in the Woodson Art Museum, that his visit would not only warm my heart, but also be a “textbook” example of first-time visitor awe and delight. The Wausau School District’s Art Cluster Program provides a multi-day art enrichment experience for fourth and fifth-grade students with a keen interest in the visual arts. 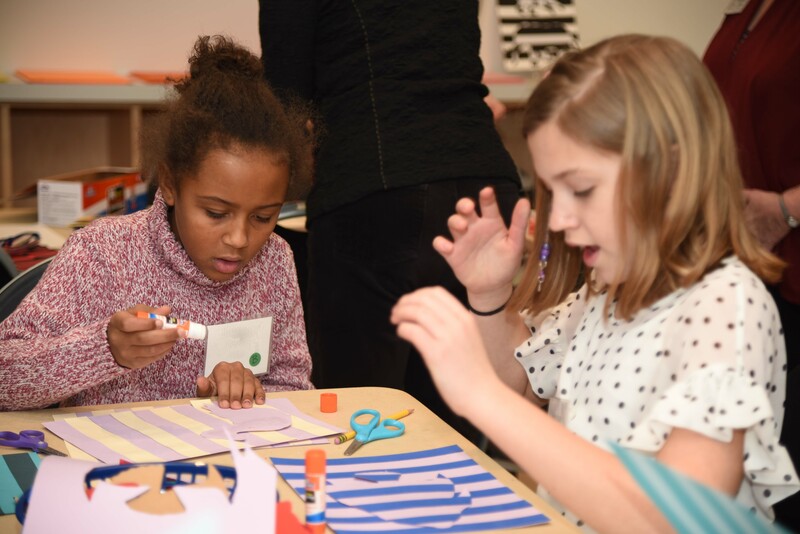 The students begin the program with a visit to the Woodson Art Museum where volunteer docents offer a guided visit through the galleries and educators introduce students to a hands-on art project inspired by artwork on view. 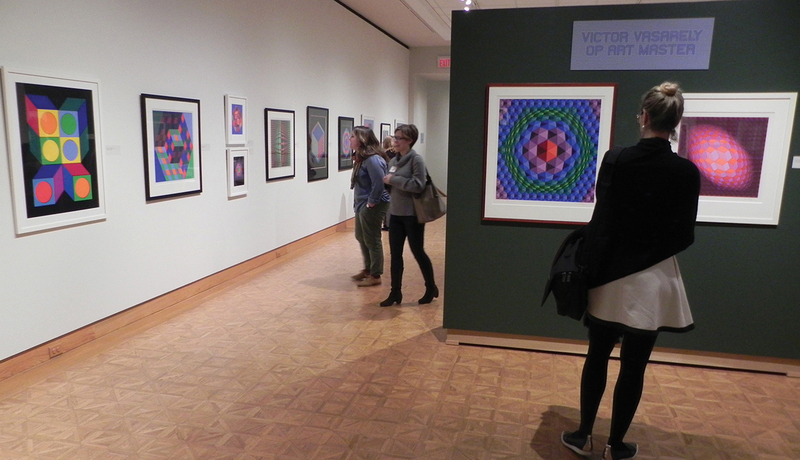 This year’s 160 Art Cluster students experienced Victor Vasarely: Op Art Master. 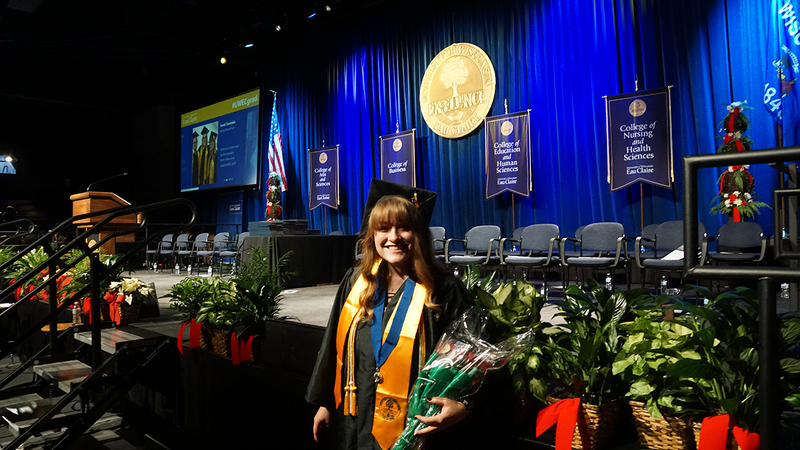 Fittingly, I learned something from my daughter’s recent graduation – one of three in our family this past semester. As commencement speaker, she was instructed to wear the stole of gratitude during the ceremony and then give it to someone who’d played a significant role in her college education. Reflecting and looking ahead into 2019, the Woodson Art Museum wants to bestow its “stole of gratitude” upon our visitors – more than 62,000 in 2018 and many more to come. 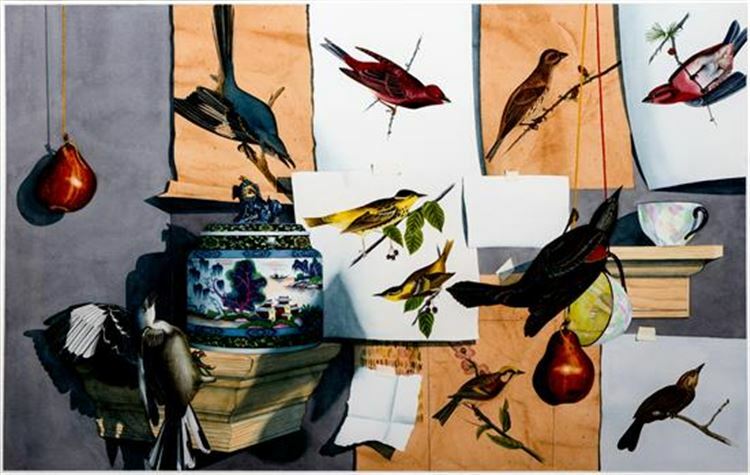 Exciting exhibitions – filled with learning opportunities aplenty – are in store. After nearly four decades, I’ve decided to hang up my hammer and level, set aside my tape measure, and experience this thing called retirement. 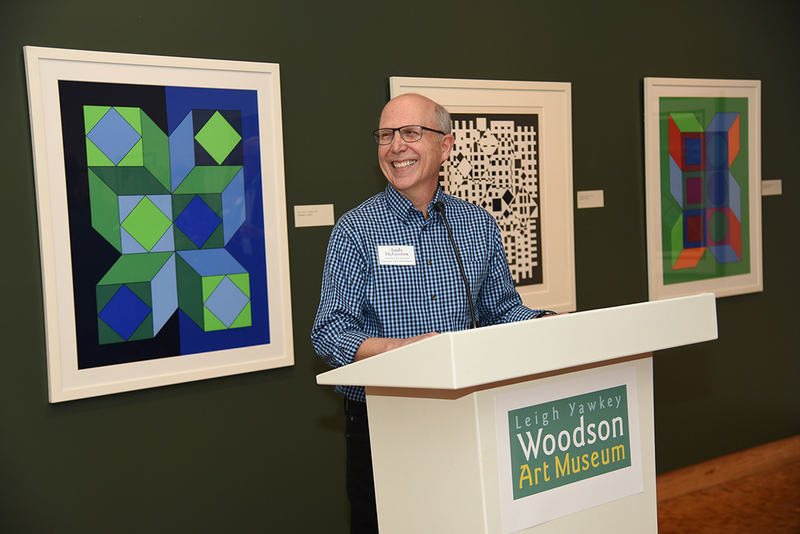 I’m proud of what we have accomplished during my tenure and I’m happy to let others carry the Woodson Art Museum banner into the future. December can be a difficult month in which to maintain perspective. Those of us in the northern hemisphere appreciate the many festivals and holidays of lights, as daylight is fleeting and the darkness descends. I recently shared a light-hearted story – with some of the Woodson Art Museum’s youngest program participants – about a snoring bear awakened too soon from his hibernation by well-meaning but rowdy friends. Bear’s initial, grumpy response was softened by Mouse’s offer of friendship . . . and snacks. 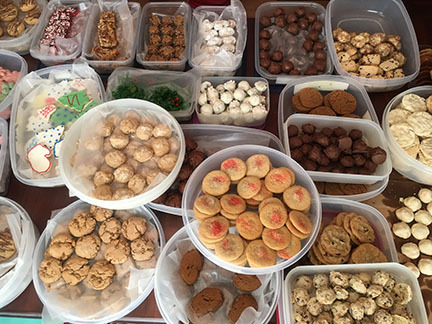 I’m uncertain how many years my friend Pat and I have baked Christmas cookies together, but it’s many. Although we share a love of baking, lately we’ve discovered it’s less about the process and more about making time and sharing. As we care for family, spend hours at work, and tend households, time for friendship seems fleeting. Our baking weekend is planned months in advance and is eagerly anticipated. More so, now, because Pat’s daughter, daughter-in-law, and families join in the fun. Yes, two grandchildren are part of the festivities. It gets hectic, we burn cookies, we are distracted, but it’s fun. The laughter at the successes and failures is equal. We take time – time to share, to love, to cry, and mostly to be together. So, as in past Christmastime blogs, I share a recipe.